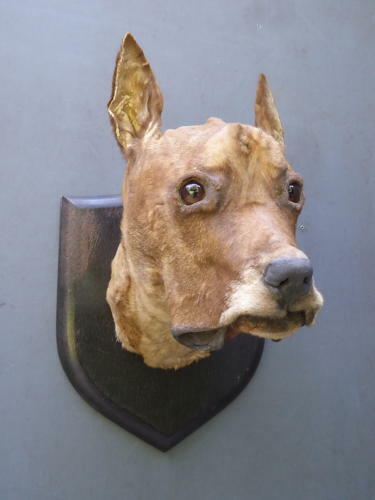 An exceptionally rare antique taxidermy great dane mount. A striking piece, the huge great danes head mounted on an ebonized hardwood shield. An intriguing, grotesque & extremely unusual piece of natural history. UK courier service available at £20 tracked & signed for 24 hour delivery, international shipping available, please enquire for details.